For every Indian, Cricket is more than just a sport. It’s an emotion, a religion. It makes them jump in joy and celebrate as well as shed tears of sorrow. From 2008 onwards the hugely popular cricket extravaganza IPL has been a mass entertainer and it has struck chords with our cricket loving nation. 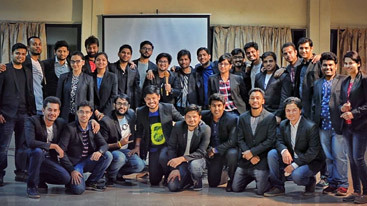 NITIE cashed in on this cricketing spirit when it came up with the first edition of NITIE Premier League in 2011, a first of its kind annual cricket event among B-schools. NPL is the most exciting and most exhilarating sporting event in Indian B-School arena. With some of the brightest mind in the country forming cricket strategies and coming up with new team compositions, NPL offers much more excitement than one can imagine. The euphoria surrounding the event makes it a much awaited and hugely popular annual event. NPL generates a buzz in the campus and brings out the enthusiasm of the students like no other event. NPL: Every year in the month of February, NITIE witnesses this cricket extravaganza. 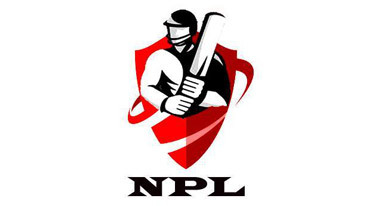 Rather than just restricting it to a mere cricket tournament where teams compete against each other, NPL provides the opportunity to the cricket aficionados to put to test their managerial, strategizing, marketing and leadership skills through the player auctions and team bidding phase. From Film Stars to Businessmen, everyone got involved in IPL and came into the limelight through the ownership of a franchise and becoming immensely popular in the team’s home city. NPL too, provides the students with an opportunity to bid for their favourite teams. The Auctions are intense, exciting and hugely popular; as the bidding for their favourite teams goes beyond just the matter of ownership to the pride and recognition of being an NPL team owner. The students can bid for any of 6 teams, 4 of which are the tournament semifinalists of last year and 2 are wildcard entries. The prospective team owners (2 playing+ 2 non playing for each team) engage in competitive bidding to buy their favourite team. Aspiring owners will bid for the teams they wish to buy. The open bidding will be allowed upto a certain amount. If 2 or more teams reach the maximum limit then closed bidding will be used to determine the winner of the auction. With cricket evolving from just a sport played on to the field to a mind game where strategies are just as important as the skills, teams began to concentrate much harder on the team composition. The most important strategy is to have the best possible mix of players playing for your team which we call as team selection. After the owners have gauged the potential of the players in Bawaal they will plan strategies to try and buy the best possible combination of players to win the tournament. The auctioning will take place with virtual money. Team Owners will be provided with a specific amount of virtual money with which they have to buy 12 domestic players. Cricket has been called the Gentleman’s game for long. But today it’s not just the gentlemen that are into the game or playing the game. Long strides have been taken by women in the game and the 2017 ICC Women’s Cricket World Cup showed the passion of women towards the game. The names Smriti Mandana, Mithali Raj and Elysse Perry are known by every cricket lover all over the world. The increased number of matches, viewership, media coverage and recognition all point towards the growing popularity of cricket among women. NPL Forum recognizes the enthusiasm among girls about cricket and organizes a cricket match for the maidens. Last year too, the NPL tournament kicked off with the girls cricket match between the senior batch girls and junior batch girls. The energy levels of both the sides were commendable and the match was fiercely competitive. The match drew a huge audience which cheered the girls all throughout the match. Continuing with this tradition this year too NPL will feature a girls’ cricket match to celebrate the true spirit of cricket which has transcended the gender barrier and to commemorate the effort put forward by the Indian Women’s Cricket team in the 2017 Women’s World Cup.